Lanvin Me is a perfume underlining the beauty of the personality. The fragrance is created as a gift that is given to a unique, original, self-confident woman. Lanvin Me perfume underlines the beauty and perfection of personality. The aroma of Lanvin Me is a combination of fashion and smell. Liquorice , Mandarin, Orange, Rose Done! 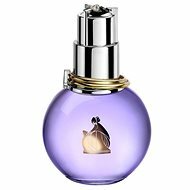 For shipping to other EU countries visit this page LANVIN Me EdP 50ml. Für Versand nach Deutschland, besuchen Sie bitte LANVIN Me EdP 50 ml. Chcete doručit zboží do Česka? 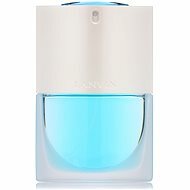 Prohlédněte si LANVIN Me EdP 50 ml. Chcete doručiť tovar na Slovensko? Prezrite si LANVIN Me EdP 50 ml. Für Versand nach Österreich, besuchen Sie bitte LANVIN Me EdP 50 ml. Magyarországra történő kiszállításért tekintse meg ezt a termékoldalt: LANVIN Me EdP 50 ml.